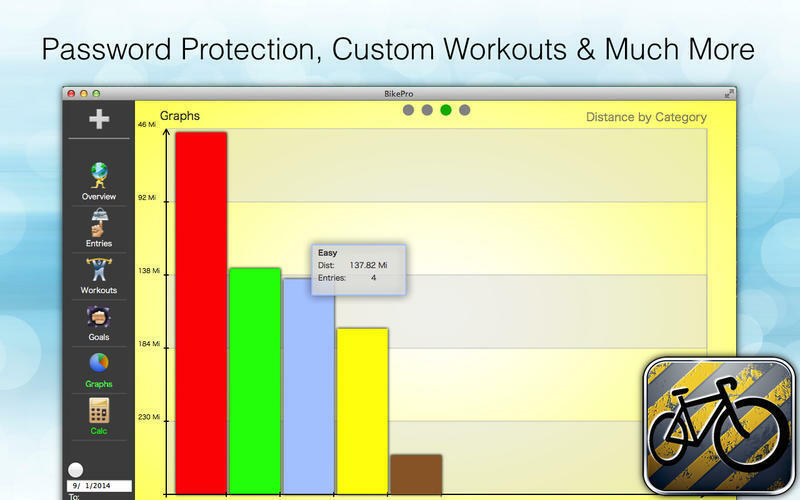 Track pace, distance, calories, time, and more. Is there a better alternative to BikePro? 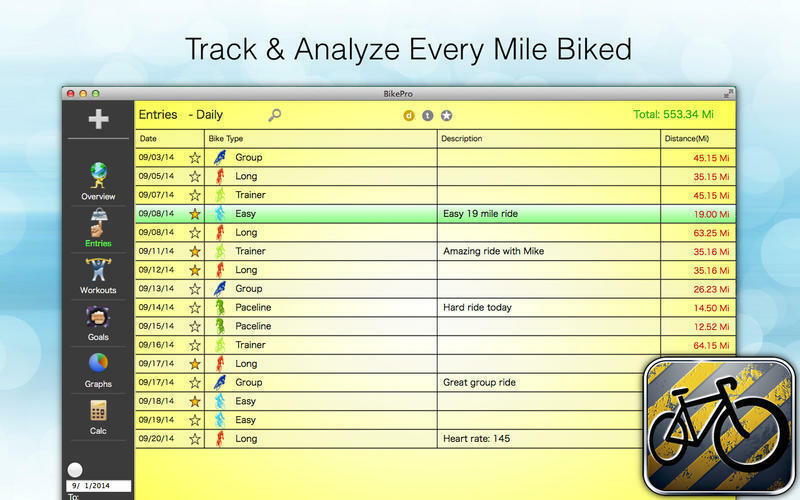 Is BikePro really the best app in Health and Fitness category? Will BikePro work good on macOS 10.13.4? 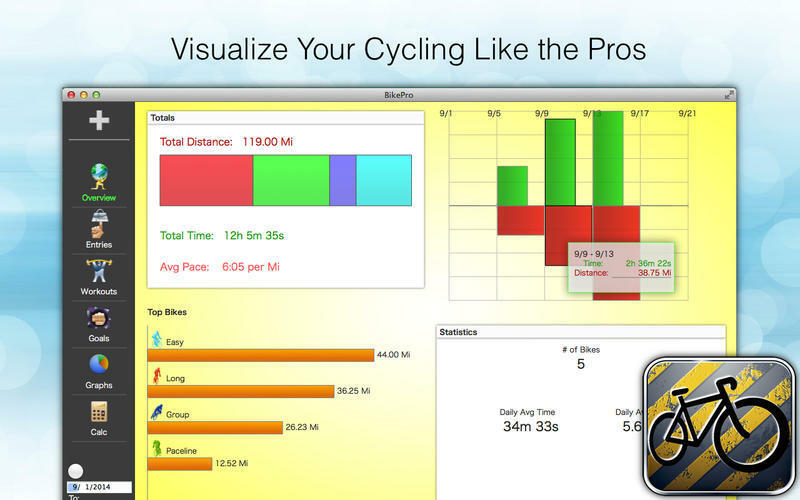 BikePro was built to help bikers, cyclists, and athletes of all abilities and ages. 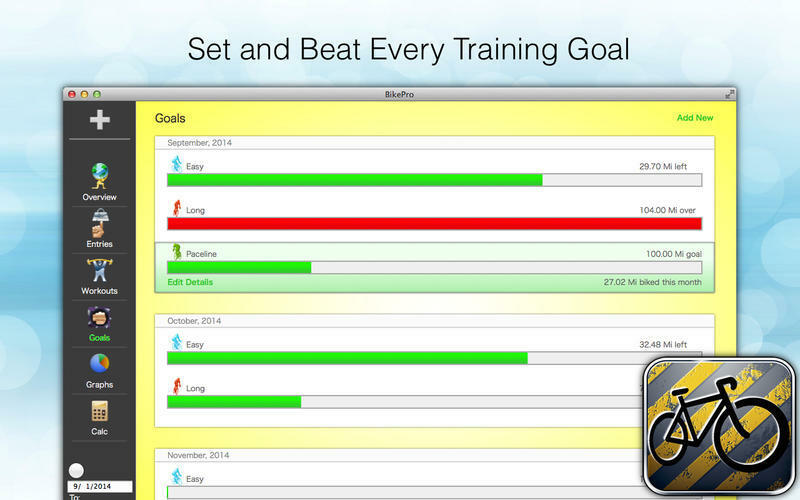 Biking Log lets you explore your training visually, like no other app! All of the graphs are interactive! BikePro needs a review. Be the first to review this app and get the discussion started! BikePro needs a rating. Be the first to rate this app and get the discussion started! Password Protection - safeguard your data!